PLEASE NOTE: CLOSED FOR 2019. Caught in the creels you can see in the waters below us, a favourite for many seafood lovers. We can show you how to tail and shell! Perhaps the king of the shellfish � caught in cracks and crevices around the coast of the beaches and islands. Beautiful as is. Poached or smoked both traditionally or hot. Served as salads, in sandwiches or on its own wirh fresh crispy bread. Prepared white and brown meat ready to eat from another favourite of our coast. Also known as �squat lobster� these tails are smaller then langoustine but many think sweeter. One of our favourites. Our mussels are sourced on our coast and are best consumed alongside a view of the isles! 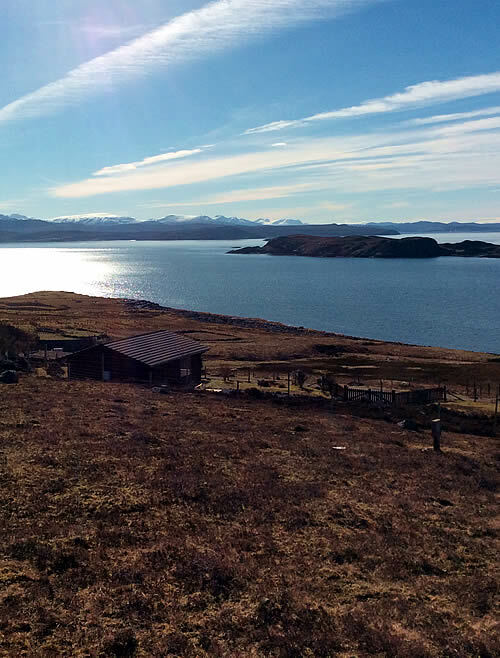 Overlooking the Summer Isles and Wester Ross Marine Protected Area, Salt Seafood Kitchen offers the opportunity to experience and appreciate some of the finest seafood and shellfish caught in the scenic waters and isles we overlook. Suzie Macgregor is from Coigach but has worked and travelled internationally working at establishments including the Kishorn Seafood Bar and the Ceilidh Place. Experience and a love of both seafood and the Highlands led to her returning home and opening Salt Seafood Kitchen, welcoming visitors in 2016. © 2018 Salt Seafood Kitchen, Site by MacraeMedia, All Rights Reserved.